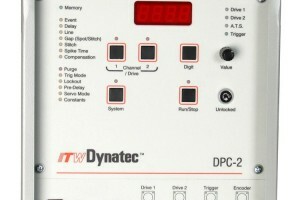 The TPC-9 Pattern Controller from ITW Dynatec, used in conjunction with your hot melt adhesive applicator, accurately controls glue output for reduced waste and more consistent output. Users can program a custom pattern with up to two glue events or simply choose the economy mode feature that automatically creates a skip of 30 or 50%. 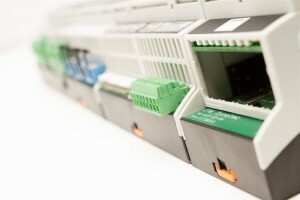 Both utilize adhesive more efficiently while still ensuring a strong bond, and the TPC-9 also gives you the flexibility to store up to 9 programs of different settings. 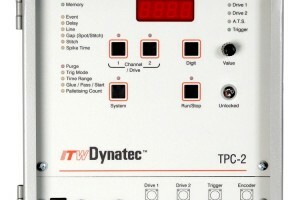 The TPC-2 from ITW Dynatec is a time-based adhesive pattern controller ideal for tracking and applying adhesive patterns on fixed speed production lines. The TPC-2 is dual channel and has permanent memory storage for up to 4 programs for varying application requirements. Fine-tuning of patterns can be performed on-the-fly to keep production running smoothly. 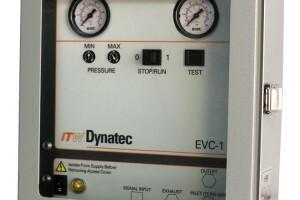 The EVC-1 (Electronic Volume Controller) from ITW Dynatec provides superior technology for varying adhesive volume during parent machine line speed changes. 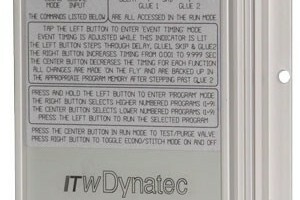 ITW Dynatec’s Dynacontrol V6 is a modular control platform that serves as the next generation of globally standardized software and hardware for Dynamelt ASUs. 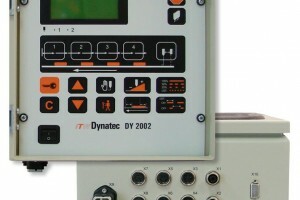 The DY2002 Pattern Control Unit is one component of an adhesive application system consisting of a hot-melt unit, cold glue pressure vessel or cold glue pump, adhesive hoses and applicator heads. The Control Unit can be used in hot melt and/or cold glue applications. 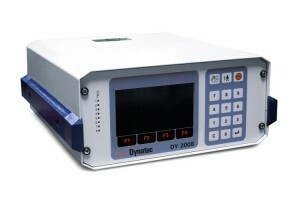 The DY 2008 Pattern Controller is one component of an adhesive application system consisting of a hot-melt unit, cold glue pressure vessel or cold glue pump, adhesive hoses and applicator heads. The controller can be used for hot-melt or cold glue application.